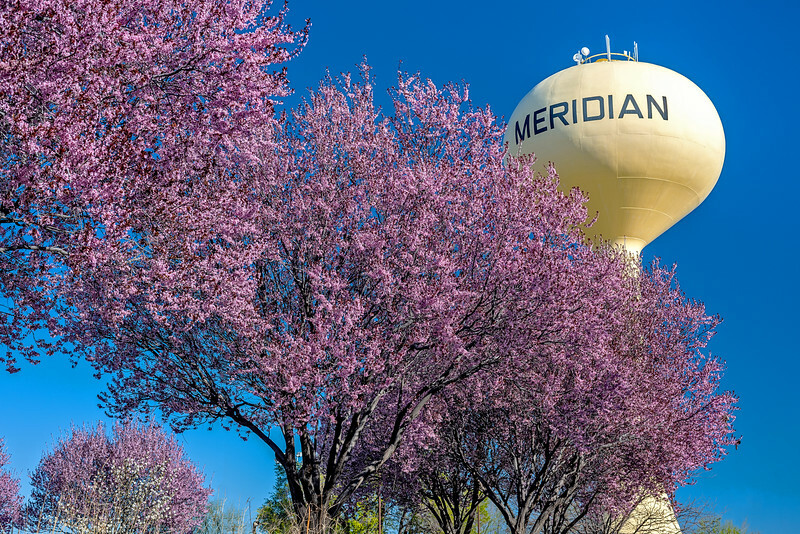 This is our humble little icon of Meridian, Idaho. This water has stood tall for a lot of years. I was lucky enough to catch some blooming fruit trees at the base.